The first time the cow tried to jump over the moon, was disastrous. Embarrassing. And as for the fiddler cat? Some practice wouldn’t go astray there either. Luckily they were among friends and friends help friends. So begins a night of getting it right. Some training, some direction, some practice and support all help to make the night a success. Along the way, there’s plenty of fun. Illustrations are full bleed and full of nighttime blues, reds, golds and more. Endpapers feature patchwork paddocks. 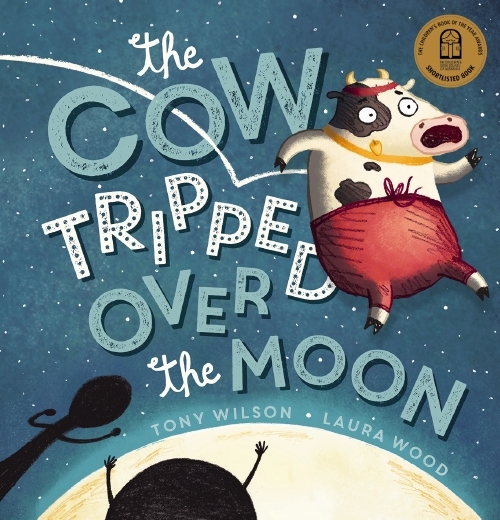 The Cow Tripped Over the Moon revisits the popular riddle ‘The Cow Jumped over the Moon’ and explores just what happened before ‘opening night’. This delightful nonsense has at its heart a reminder that things don’t always go perfectly the first time. It explores the nature of friendship, the value of persistence, failure and success. Young readers will come for the silliness, and that’s as good a reason as any to get lost in a story. Recommended for pre- and early-schoolers. One by one, in rhyme, the reader is introduced to the animal occupants of a farm. But few of these animals behave quite as might be expected. One by one, in rhyme, the reader is introduced to the animal occupants of a farm. But few of these animals behave quite as might be expected. There’s the lazy cow, who’d rather be spoon fed jelly; the hen who prefers dancing to laying eggs. Alternate double-page spreads introduce the animals and what they ‘should’ be doing, with following spreads detailing their preferred activities. But despite their un-farmlike activities, there is something they all do well, and the narrator suggests that on balance their combined life is a good one. Illustrations are pen and watercolour, in cartoon-style. Front endpapers show the farm in daytime, end endpapers show the farm at night. From the outset and from the title, it’s clear that Lazy Daisy, Busy Lizzie is a book about playing with language, playing with sounds, and encouraging the reader to do the same. 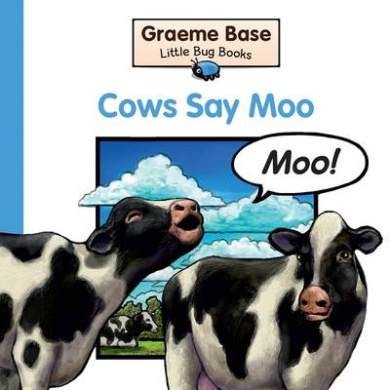 The illustrations include many other details and reader and child will easily be able to conjure up names, words and activities for further occupants of this farm. Readers will engage with the language, be tickled by the illustrations and come away with a sense of just how much fun it can be to play with words. And all this wrapped in delightful package of silliness. Win-win. Recommended for pre-school and early school readers. and got stuck in the mud. When a cow gets stuck in the mud near a farm dam, chaos ensues. Rescuers come to help – but when they, too, get stuck, who will rescue them? This is the Mud! is a rollicking, rhyming picture book story, based on the well known House That Jack Built. It is wonderful seeing this rhyme reworked into a brand new cumulative tale which youngsters will adore. It is especially good to see the farm being identifiably Australian, with the landscape being distinctly Australian and no sign of stereotypical farm animals – no cute rabbits or fluffy ducklings in sight. This is a first picture book for author Kathryn Apel, who has been teamed with illustrator Warren Crossett. 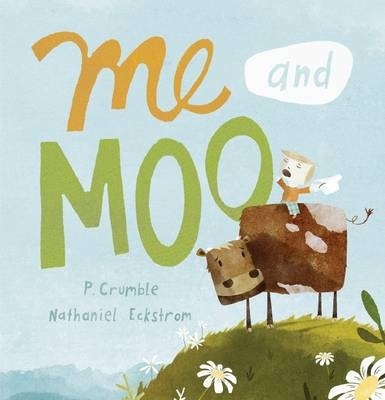 Crossett’s warm water colour illustrations are a perfect complement to Apel’s funny text with the larger than life cow and human characters being especially endearing. This is an outstanding read aloud offering which will be requested regularly by young listeners. Clancy the Cow stands out in the herd because he is different. He is a Belted Galloway, but unlike all the other Belted Galloways, Clancy has no belt. The other cows reject him, but one night Clancy discovers that being totally black has a hidden advantage. He is able to sneak into the paddock next door at night and eat as much as he likes. Unlike the other Belted Galloways, Clancy is soon big and strong – and able to represent the herd in the annual Cow Wrestle. Soon, Clancy is the hero of the herd. His victory in the Wrestle means that the Belted Galloways have grazing rights over the best paddock and the neighbouring Herefords have to move out. But Clancy has anther surprise up his sleeve. He thinks all the cows should just get along – and share the paddock. Clancy the Courageous Cow is a fun story about being different and about getting along. It was first written by the author/illustrator for a school assignment when he was just twelve and the illustrations, using watercolour and graphite pencil, have a childlike simplicity which is really endearing. Pamela the cow loves pears. She loves them so much she will stop at nothing to get to them – even if it means crawling through a wombat hole or towing a tree behind her. Unfortunately, Pamela’s pear obsession means there are no pears left for the people. Something has to be done to stop Pamela eating all the pears. Too Many Pears is the latest humorous offering from renowned author-illustrator team, Jackie French and Bruce Whatley. Like so many of French’s books, the story revolves around food and animals, yet, as always, this story is unique. Whatley’s illustrations bring the tale to life, with the cow’s facial expressions a true delight. Mr Moo has a nice house and good neighbours. Mostly, he’s content, but sometimes he wishes for a special friend to share things with. Then along comes Jimmy Johnson, who is off to see the world. When he takes Mr Moo’s unfinished row boat for a row and it sinks, however, he changes his plans. He will stay and help Mr Moo fix the boat. Mr Moo takes Jimmy home to stay and soon the pair have the kind of special bond that Mr Moo has dreamed off. Mr Moo is a bright picture book combining the writing talents of the renowned Margaret Wild with the illustrative skills of Jonathan Bentley. Published in a hardback edition in 2002, it has just been released in paperback format. 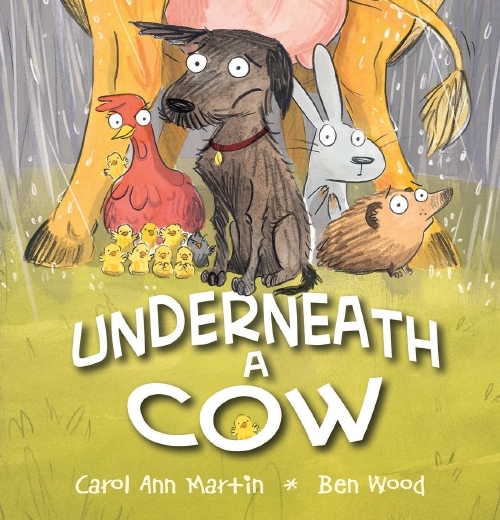 Kids will love the anthropomorphic Mr Moo (a cow) and Jimmy (who is a duck) as well as the minor characters and bright surrounds of Mr Moo’s home. They will also like the uncomplicated story – perfect for the littlies.